Dimensions 0.08 by 8.50 by 11 in. 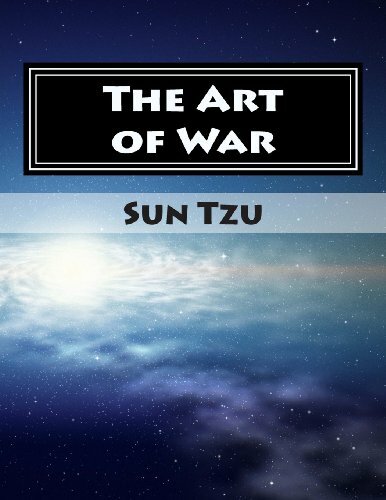 Amazon.com description: Product Description: The Art of War is an ancient Chinese military treatise attributed to Sun Tzu, a high-ranking military general, strategist and tactician. The text is composed of 13 chapters, each of which is devoted to one aspect of warfare. It is commonly known to be the definitive work on military strategy and tactics of its time. It has been the most famous and influential of China's Seven Military Classics, and "for the last two thousand years it remained the most important military treatise in Asia, where even the common people knew it by name." It has had an influence on Eastern and Western military thinking, business tactics, legal strategy and beyond.